The Daisy Bacon issues I've read were oddly eclectic in their mix, from cozy to hardboiled to relatively restrained shudder pulp by John Knox...don't know how it was as early as '40, but I have read more pretty good work than great in those later issues (including several British Reprint Editions). I have an extensive collection of DETECTIVE STORY, over a thousand issues, 1915-1949, and I'd have to say that I agree it was "stodgy" during the teens, twenties, and thirties. Especially when compared to BLACK MASK, DIME DETECTIVE, and DETECTIVE FICTION WEEKLY. But then as Todd points out, the magazine improved in the 1940's under editor Daisy Bacon. 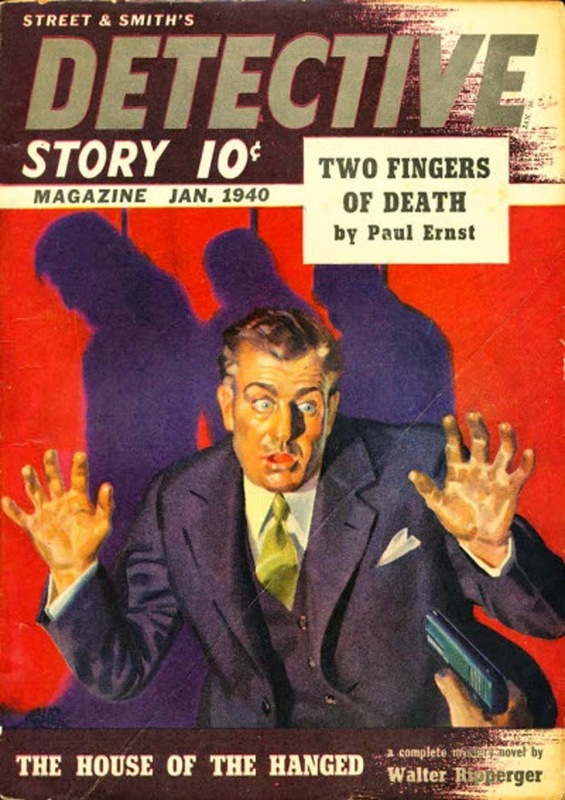 Then we had more hardboiled fiction from Roger Torrey, William Campbell Gault, and others. They even had a Raymond Chandler story. I have a question for Walker. What is the condition of the paper in the late 30's issue that you have? The ones I have found have rather brittle paper, much more so than the Astounding I have. The paper in my late 1930's issues is not particularly brittle. Usually SF readers and collectors took care of their issues and kept them in better shape than the readers of the other genres. Teenage SF collectors were very fussy about condition to say the least.